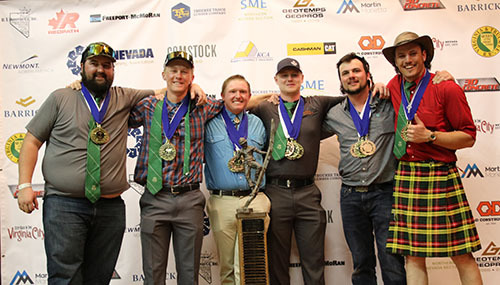 Montana Tech’s Mining Teams excelled at the 41st annual International Collegiate Mining Competition hosted by the University of Nevada Reno, Mackay School of Mines in Virginia City, Nevada on March 20-23, 2019. 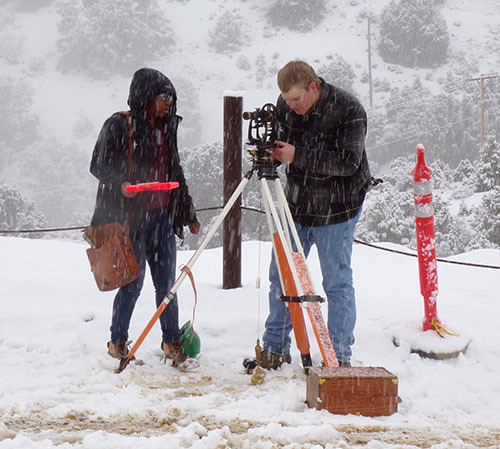 T eams displayed their skills in seven old-fashioned mining skills of gold panning, track laying, surveying, hand steel, jackleg drilling, hand mucking and swede sawing. Competing teams were from Canada, Australia, the United Kingdom, Brazil and the USA representing Montana Tech, University of Nevada-Reno, Missouri Science & Technology, University of Kentucky, University of Arizona, South Dakota School of Mines, Colorado School of Mines, Virginia Tech, University of West Australia, Queensland University, UNIFAL, University of Sao Paolo, Queens University, and Camborne School of Mines. This year’s competition included 18 men’s teams, 7 alumni teams, 7 co-ed teams, and 8 women’s teams. 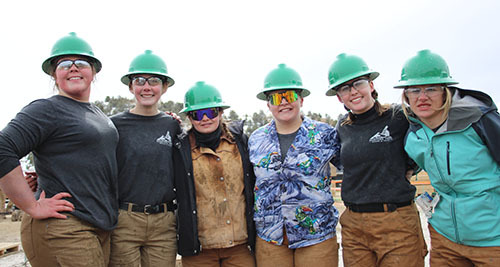 Montana Tech sent two men’s teams, two coed teams and one women’s team to the competition. 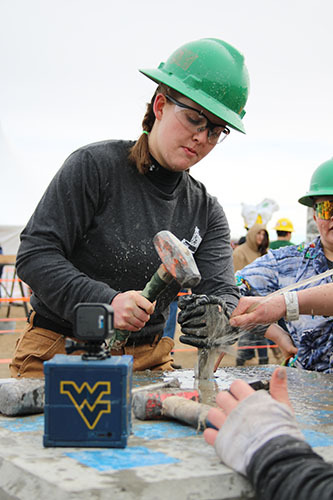 The Montana Tech teams consisted of thirty-one students (with 20 being first-time competitors) from mining, geological, metallurgical, civil and mechanical engineering. The University of Idaho began the mining competition in 1978 and it was later dedicated to honor the memory of 91 miners who died on May 2, 1972, when fire broke out in the Sunshine Mine near Kellogg, Idaho, one of the world’s largest silver mines. Since then, the games have been dedicated to all miners who die on the job. 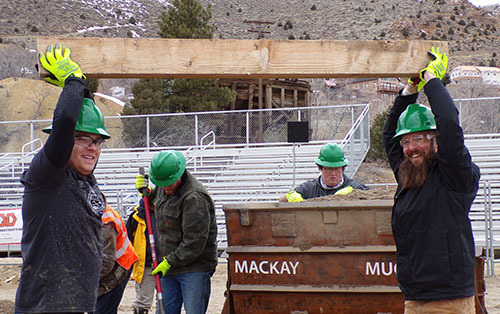 Montana Tech has participated in all 41 annual events. For more information, please contact Scott Rosenthal, Department Head of Mining Engineering at Montana Tech, at 406-496-4867.